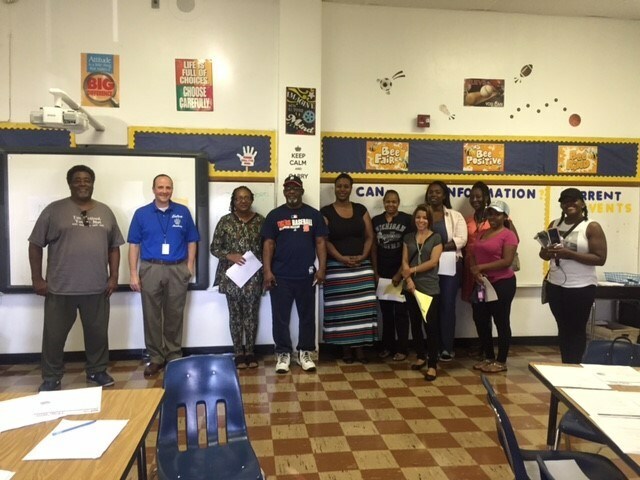 The Eaton Academy Parent-Teacher Organization (PTO) was established at the beginning of the 2015-16 school year. The PTO was a driving force behind fundraising, school improvement and increasing student achievement through the hard work and dedication of parents and teachers from the Eaton community. The PTO raised over $2000 for students through fundraisers such as, Little Casers Pizza Kits, Cheese Cake Factory Cheesecakes, and The Popcorn Factory popcorn. The PTO sponsored school activities such as the Winter Concert, dances, and field trips. The PTO increases student achievement through constant communication on the importance of standardized tests, homework and reaching school-wide goals established by the School Improvement Team. This year, the PTO will meet monthly on Thursday afternoons from 3:50-5:00. A schedule of dates and times can be found in the main office and at the bottom of this page. Agendas will be made available a week prior to each meeting and posted via the Eaton Academy PTO class on www.remind.com – class code @ eatonac. Every member of the Eaton Academy community is welcome to be a part of the PTO. Attending monthly meetings is the best way to remain current on our goals and activities. If you cannot attend our monthly meetings, you can participate as a volunteer for athletics events, concerts, clubs, field trips, dances and curriculum nights throughout the school year. Pledging at least 2 hours of your time is a great way to start. The 2 hour Power Pledge sign-up sheets will also be made available in the main office. Come in and leave your information to be connected to our monthly emails. What’s next for the PTO? The fundraising schedule is currently under way, and will include our fundraisers from last year. We will be working with the Athletic Department to establish a schedule for volunteers at concessions as well. See the calendar link below for PTO meeting dates.